2.1 Improved operational speed enables better valve opening and closing control. 2.2 SIL,ISO,CE certification of Valves-Actuators assemblies are available on request at the time of order quotation. The system designer and user have the sole responsibility for selecting products suitable for their special application requirements, ensuring their safe and trouble-free installation, operation, and maintenance. Application details, material compatibility and product ratings should all be considered for each selected product. Improper selection, installation or use of products can cause property damage or personal injury. All actuators can be either piped with solid or flexible tubing with the solenoid valve mounted remotely from the actuator or by mounting a VDI/VDE 3845 (NAMUR) designed solenoid valve directly onto the NAMUR mounting pad on the side of the actuator. 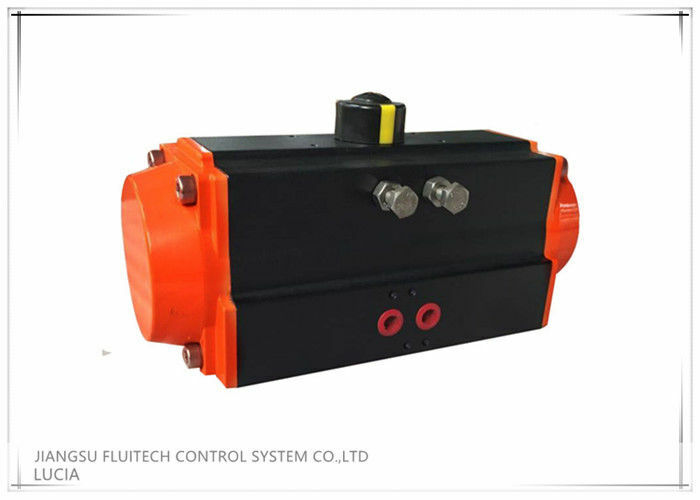 Solenoid valves and/or switch boxes can be mounted to the actuator. Check the instructions as shipped with these components for installation, operating, and maintenance instructions. It is recommended to test-cycle the complete assembly to check for correct operation. · When and how to do maintenance. · What to do when replacing stops. · What is the availability of spare parts, action conversion kits, and temperature conversion kits.